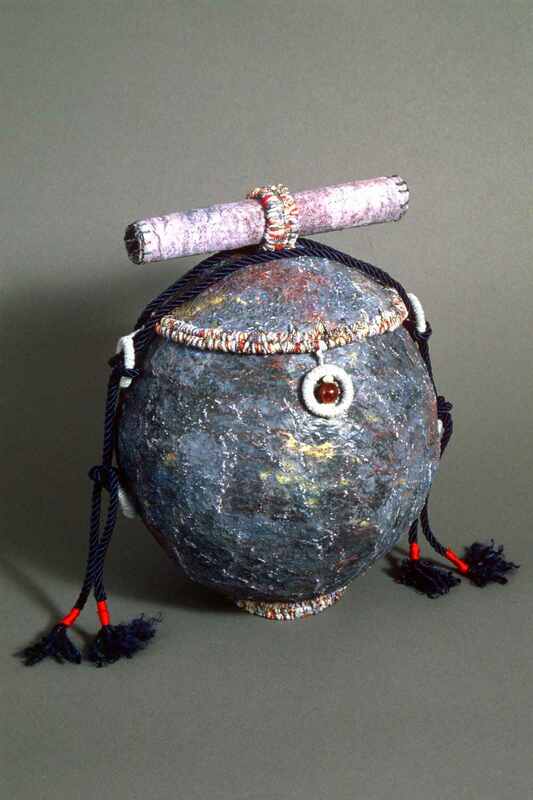 Handmade paper vessel dyed with pigments and layered with chalk pastels. The loops are bound in silk threads , the braids fasten the lid to the base. The rim of the lid is woven with cane and threads. Handmade paper scroll on the lid may be used to write a thought, a poem a memory or a prayer. Jasper stones and pearls are sewn onto the loops on the vessel.